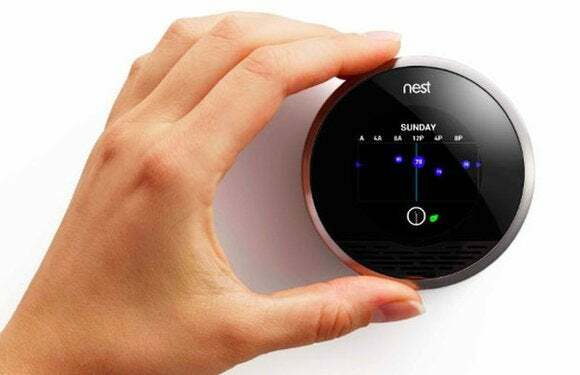 Nest, the maker of smart home appliances that was recently bought by Google, ran into some trouble earlier this year when some users reported that their Nest thermostats were shutting down in the middle of a record cold snap. I live in Northern California; when I wake up in the morning, there’s frost on the lawn, but I’m not going to freeze to death in my house. (What we could use is more rain.) But I was still surprised to find my own Nest thermostat behaving bizarrely last night. Like those Nest thermostats affected earlier this month, my Nest reported that its battery was dying. It rebooted and asked me to input the correct time and date, suggesting it had completely lost power. Never let anyone tell you that building smart tech for the home is easy. In selling its eponymous product, Nest has had to navigate a thicket of heater types and building techniques that make it very hard to create a “it just works” product—especially one with Wi-Fi and a rechargeable battery. Many heaters, like mine, don’t provide continuous, reliable power to thermostats—instead, the devices have to leech power from the control wires. In Nest’s case, a software update introduced an incompatibility with some Wi-Fi routers that caused a increase in power consumption—and some thermostats suddenly couldn’t charge themselves fast enough. A software update was released to solve the problem. But Monday night, my Nest reacted in the same way as those reports from other affected users. According to Nest’s software update history, it released a new version of the Nest firmware a week ago. Did it introduce a new bug that caused my Nest to freak out? These sorts of experiences show how bringing high-tech products into the home isn’t going to be as easy as it might appear from the outside. It’s complicated. In talking things over with people at Nest, it’s clear that this one symptom (a low battery or loss of power) can have many different causes. Some heating systems will actually stop sending power in cases where they are struggling to work, such as when a dirty air filter is reducing air flow. During the cold snap earlier this year, some Nest users blamed their (very visible) thermostat when their furnace itself had failed. I reset my Nest’s settings, charged it from a USB connector, and am about to replace my air filter just in case. No big deal. But these sorts of experiences show how bringing high-tech products into the home isn’t going to be as easy as it might appear from the outside. Every quirk of construction, wiring, and appliance standards adds complications to a product that’s supposed to be simple and elegant. I’ve used my Nest since the very first model came out, and I love it. But there’s an added challenge to bringing smart devices like these into your home: A crashed phone is an annoyance. A crashed thermostat during sub-zero temperatures is a much more serious situation. That’s why companies like Nest have to reach levels of reliability and support that traditional tech companies never could.